. إن الخدمات الممتازة وحسن الضيافة العالي في Lincoln Downs Resort Batemans Bay تجعل إقامتك تجربة لا تنسى. هذه بعض الخدمات الموجودة في هذا الفندق: واي فاي مجاني في جميع الغرف, خدمة التنظيف يوميًا, مرافق مخصصة لذوي الاحتياجات الخاصة, تخزين الأمتعة, واي فاي في المناطق العامة. يمكن للنزلاء الاختيار من ضمن مجموعة من الغرف المصممة بعناية لتعكس جواً من الراحة، والتي يتجاوز عددها 33. يمكنك طلب اللائحة الكاملة للخدمات في الفندق ومن بينها مركز للياقة البدنية, مسار جولف - ضمن 3 كم, حمام سباحة خارجي, مسبح (للأطفال), ملعب تنس. 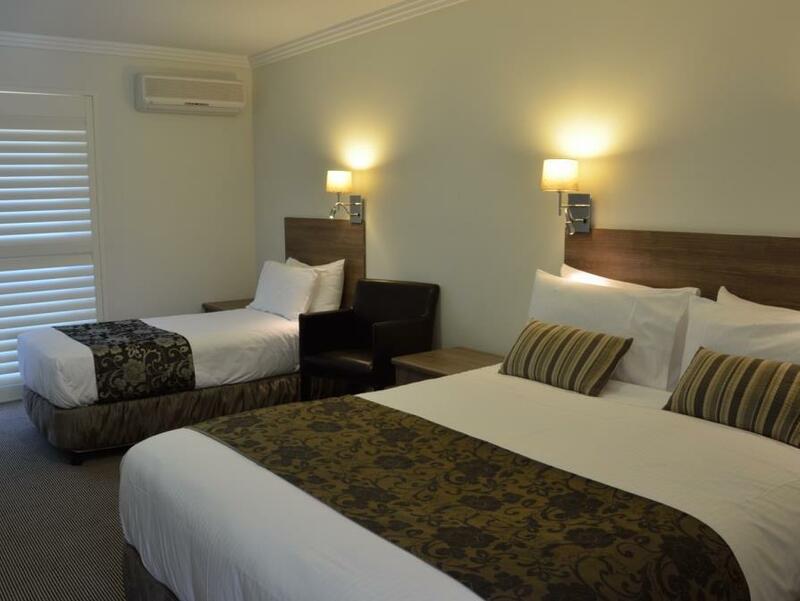 يحظى فندق Lincoln Downs Resort Batemans Bay بموقع ممتاز وخدمات يصعب منافستها. 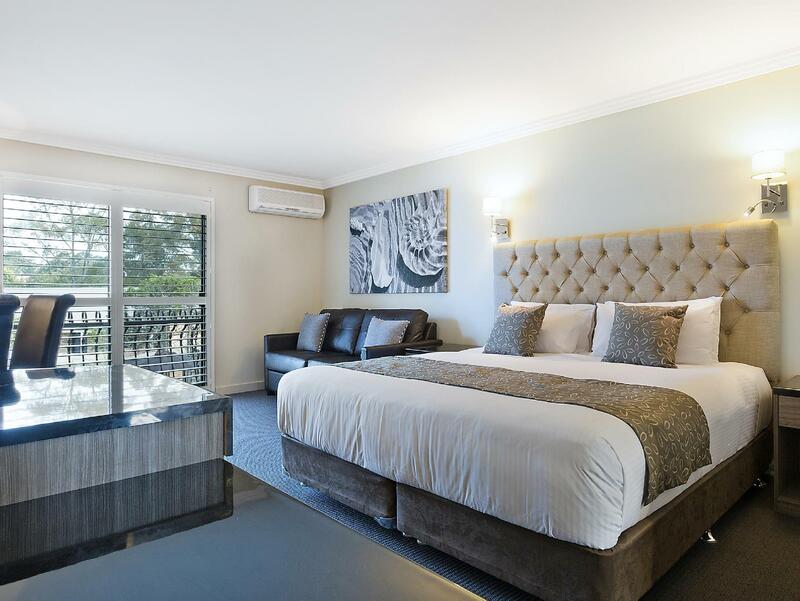 I am very impressed with the hotel and I will definitely stay in this hotel if I visit Batemans Bay again in the future. Although the hotel is not at the centre of Batemans Bay, it's only 3 min drive to all the stores and great Fish and Chips. The hotel does not look impressive from the outside but the room has definitely been touched up and newly renovated. My boyfriend and I enjoyed our stay very much. 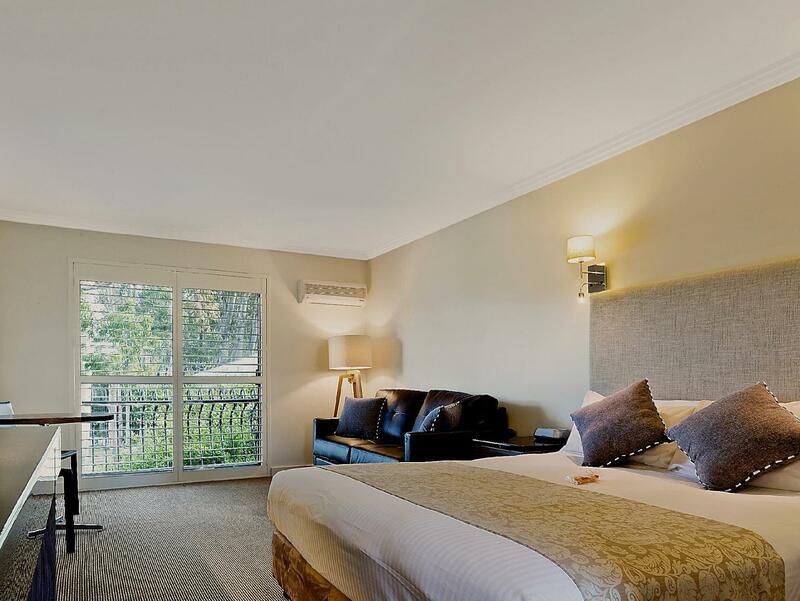 This place is quiet and located in a peaceful and tranquil place in Batemans Bay. The Staff are friendly and the restaurant food is delicious. The only downside was my y room air conditioner was a bit noisy. We visited for two nights and loved every minute of it. The grounds are beautiful, our room looking over the lake which entertained the kids, with all the bird life, to no end. We only wish we had visited in the warmer months so we could have used the pool and enjoyed the outdoor areas more, but we will certainly return. The rooms were very spacious, ours a family suit with 2 rooms and 4 beds. Great size for the 5 of us. Loved the shampoo and conditioner too! We recently stayed at Lincoln Downs Resort for 1 night during a family road trip. The family room had 3 single beds in a separate room and King in the main area. The room itself was large and had lovely features and fittings. Very clean and tidy. Bathroom was very modern and well appointed. Lovely surroundings at the resort, pool area, gym, tennis court, enjoyed a walk around the lake to see the ducks. 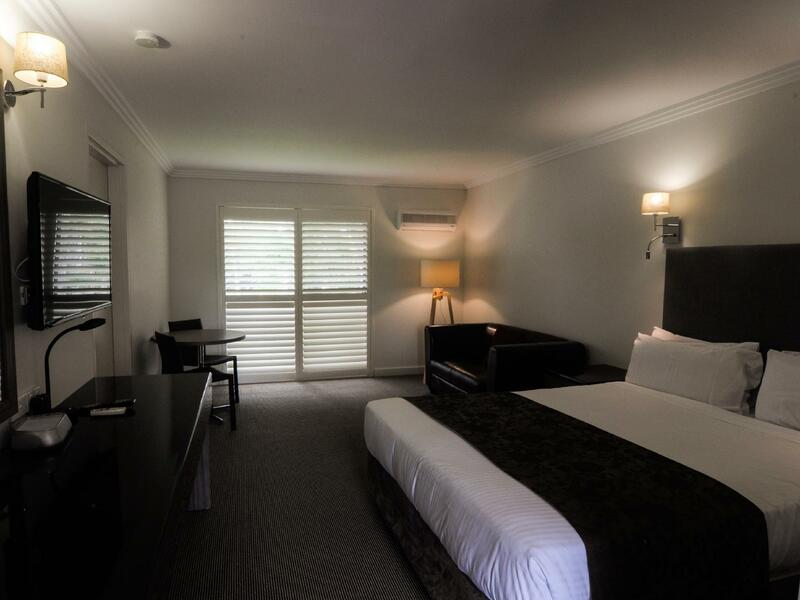 The motel is located on the highway on the Sydney side of Batemans Bay but was very quiet. Heaps of on-site parking. I unfortunately left behind a personal item at the motel. I contacted them the next day via email and phone and was happy to was mailed back to my home address - Thank You = Great Service! We would stay here again and recommend it for families. The resort has a large recreational space. The room is warm, comfortable and clean. Staff are friendly and helpful! Two story hotel with no lifts, not sure why its called resort. The receptionist was unwelcoming. 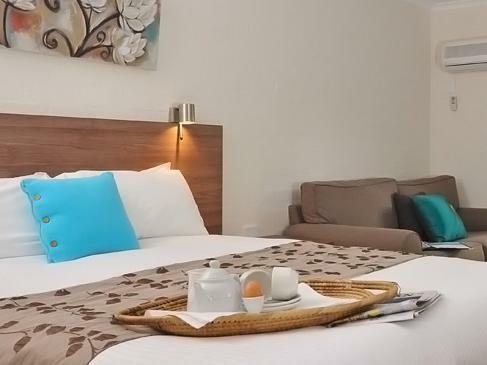 The hotel is located just before the bridge as you get into the town centre. The bed is nice and comfortable. overall it was okay. The rooms were comfortable and the staff friendly. We were warmly greeted on arrival and offered dinner at the restaurant. It was nice and reasonably priced. Very convenient given we got there late. Unfortunately this time we didn't get to enjoy the pool and gardens - just did a quick tour. The location was great too - just minutes from the centre of Bateman's Bay. My room was tastefully decorated and very clean and had a lovely outlook into trees. The restaurant meals were pricey but enjoyable enough. My deluxe queen room was located close to the main road (as apparently are all the deluxe queen rooms) which meant the sound of passing cars/trucks was still quite audible - and the soundproofing to the adjacent room was also not great - the sounds of plumbing, a crying child and a snoring sleeper all a little intrusive. Despite that I would definitely stay there again and hope to get a good deal on a room with a lake view. My husband and I stayed here for the long weekend for a nice relaxing getaway before our baby is due in 4 weeks time. We arrived here and check in was a breeze. The room was lovely and spacious and only a short walk to a beautiful view overlooking a lake. The only criticism we had was that it was very difficult to get in and out of the shower as you had to step over a large lip on the bathtub and feel that the glass was awkwardly positioned which made it very difficult to turn the shower on and off. All in all, we had a wonderful stay and would definitely love to stay here again. Stayed one night at Lincolns Down. The hotel is nice with friendly staff but it is rather old and not very well maintained. Bubbly foam comes out from the sewage hole whenever we bathed. Overall an ok accom. The place is along the highway but no noisy at all. Good Location close to Batemans bay bridge. Room is clean and big. Breakfast is simple and only cold stuff, milk for the tea/coffee is cold, too. Hot breakfast can be ordered with extra charge. Stuff is friendly. Great location for exploring the local environs. 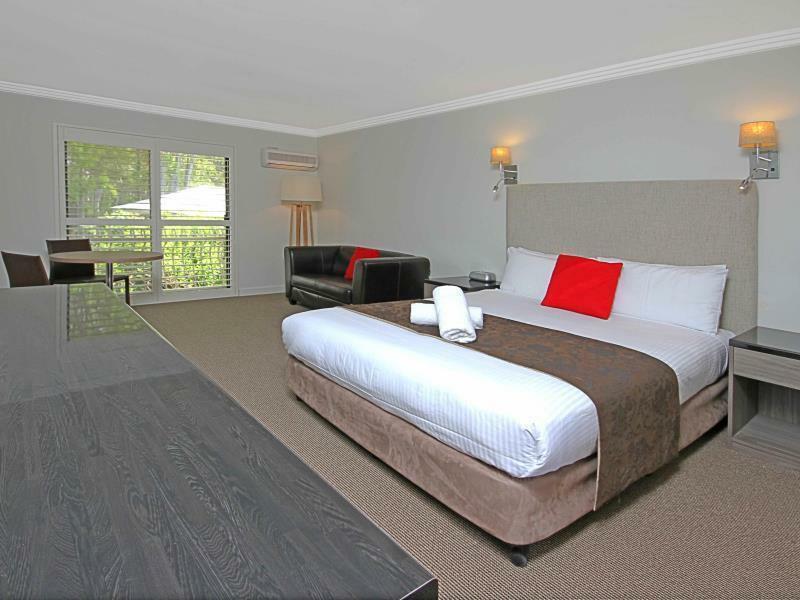 Hotel is newly refurbished, very clean and pleasant, the lake is a good place to chill out. Although by the main road but very quiet. It's a good place to be for a day or two. Went to eat dinner on one of the nights where there was a special guest chef. The food was average. The steak we ordered was very big and the meat was very chewy. The veggies side was a massive serving. We were greeted by friendly staff on arrival. Our room was clean and the bed was very comfortable. Only two things that were negative was cups and glasses provided were dirty and the shower was awful. The shower handle was very loose so I had to spend 5minutes getting the tempreture right before I could use it. The shower curtain blocked out the bathroom light making the shower very dark. Easy access from highway. Great and quiet location. Not far from town. Clean and well designed room. Served nice and reasonable meal. During my trip, this is best hotel ever.